In an age of mass camera surveillance people in the UK have become the most watched, catalogued and categorised people in the western world, all with little public debate or opposition. Nor has there been much more critical research that understands CCTV within the broader social relations out of which it has grown and consolidated. The aim of this book is to analyse the use of CCTV within this broader social, political and ideological context, focusing on relations between surveillance, power and social order, using Liverpool as a case study. At the same time the book provides a study of social control in Liverpool city centre, exploring the development of, and meaning attributed to, social control practices by those at the centre of the implementation and management of these practices. As such the book is a study of the 'locally powerful', their organisation through the local state, and their perceptions of order and disorder in the city centre. 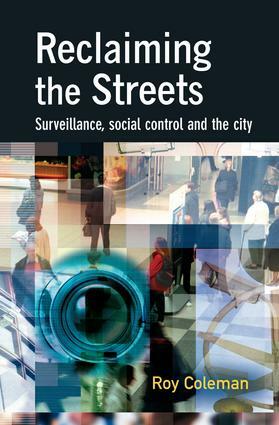 Liverpool's CCTV network is thus seen as emblematic of the developments in social control which the book explores. The book makes a key contribution to theoretical debates around social control in four respects: it places the analysis of CCTV within an understanding of the social relations in which the technology emerged; it analyses CCTV as a normative tool of social control and not merely as a piece of crime prevention technology; it considers how social scientists and criminologists think about and understand social control in the contemporary setting; and finally it seeks to draw lessons from the Liverpool case study and considers their applicability to the study of CCTV more generally.